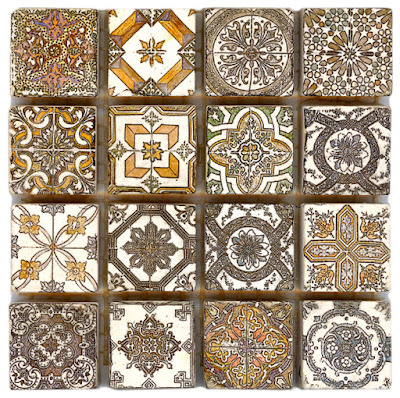 Deco Dots are sets of colorful, decorative 1x1 mosaics* that you can use in a variety of ways. 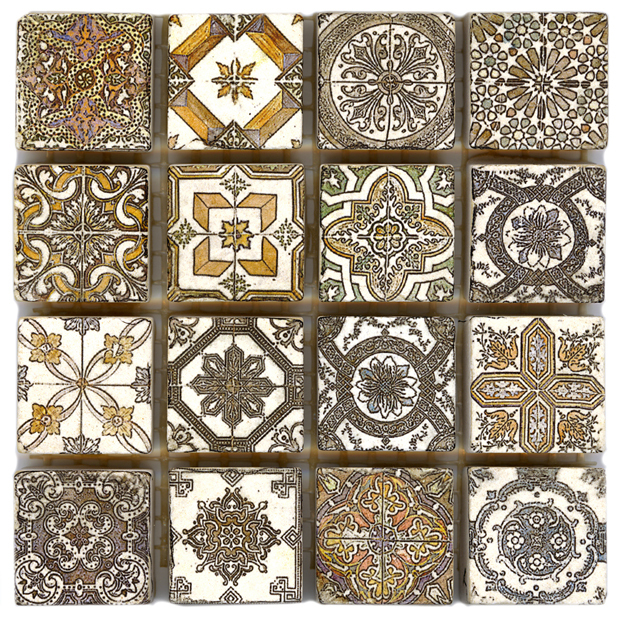 Think of them as jewelry to dress up your plain and boring background tiles. 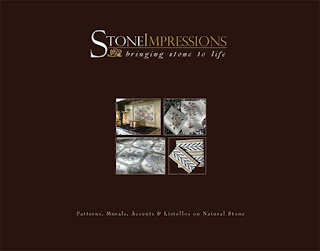 You can find them on page 141 of our newest tile catalog. 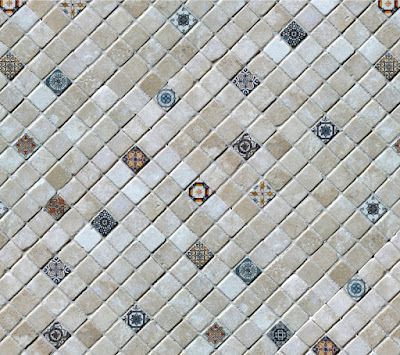 Place the Deco Dots randomly in a mosaic to add a subtle touch of color to your walls. 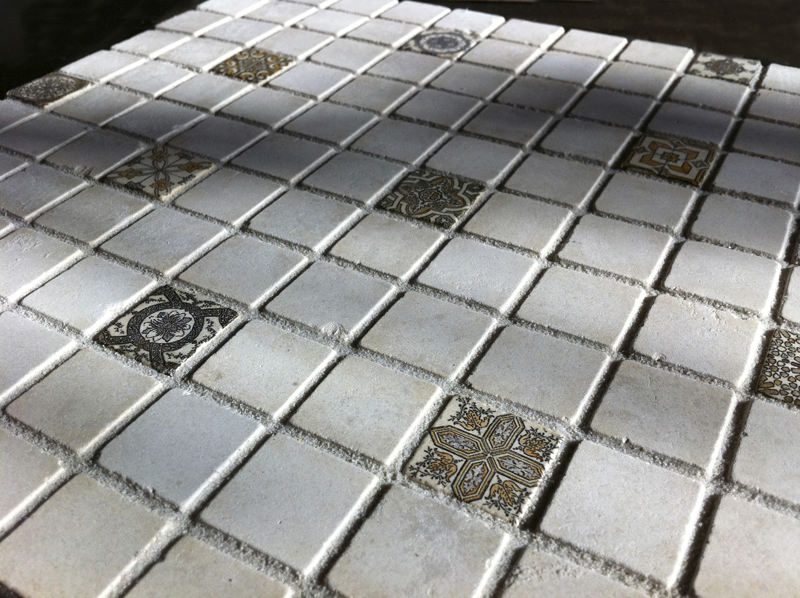 Or use them as diagonal inserts in any straight tile layout. You are in full control of where you insert the Deco Dot Tiles. Go wild and random or keep things more orderly with even spacing. You can add one whole set of dots into a single square foot of mosaic. Or you can spread them out over a few square feet for a more spacious feel. 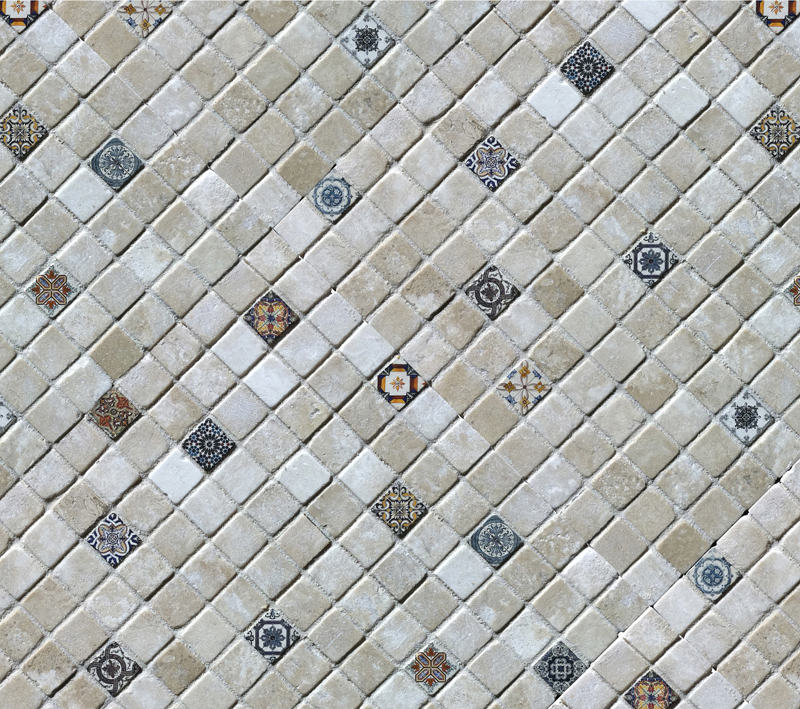 Place the Deco Dot Tiles exactly where you want them to create a unique design that is truly your own. Deco Dots mix perfectly with other materials like ceramic or glass. Choose the Vibrant color scheme to make a bold statement or go with the Natural colors for a more subdued look. A simple and beautiful way to add life to your walls. 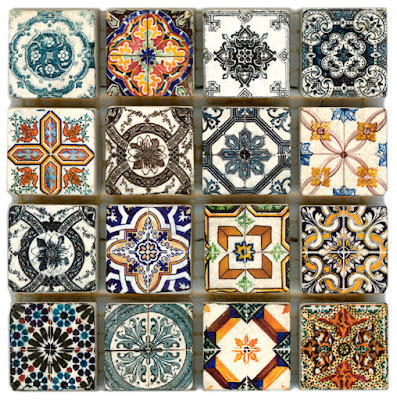 *Actual size of each individual square tile is 15/16" x 15/16". 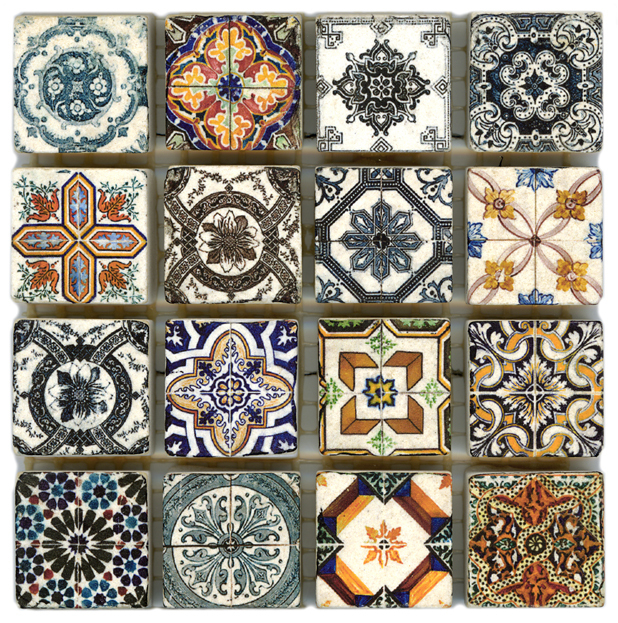 New Tile Catalog is here! It has 156 pages filled with our great selling originals like Marseille and Cynara, along with many brand new designs that are sure to become classics.